It’s officially golf’s silly season as the focus of tournaments turns to topping up the leading players bank accounts. 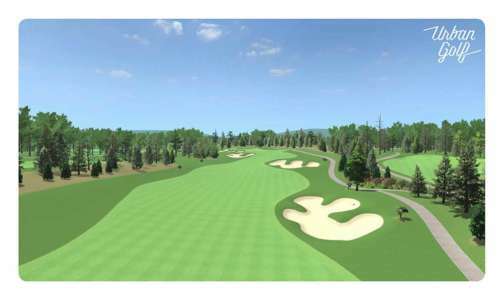 Sheshan International (which, incidentally, you can play on our incredible aboutGolf Simulators at Urban Golf) plays host to an the WGC HSBC Championsthat traditionally favours the bombers (don’t most of them?) which means that it’s no great surprise to have seen Dustin Johnson, Koepka, Rory and Bubba on the leaderboards on multiple occasions. Don’t discount the rest though as Russell Knox and Ian Poulter have proved in recent years. The field is impressively strong this week and will hopefully translate into a competitive tournament – even if the course can’t provide the spectacle we’ve enjoyed at the likes of Walton Heath and Valderrama lately. The best we can hope for is a packed leaderboard come Sunday with a few of our picks giving us a bit of excitement! Hopefully all of the Moliwood hype is going to be put to bed and Fleetwood can get back down to the business of focussing on his game and doing what he does best. He’s well and truly established as one of the game’s best players and is due to land a title against this quality of field. There’s no doubting his quality and despite the recent distractions, his game is in good nick. Expect him to be right in the mix at Sheshan on Sunday. Casey’s season was in danger of slipping away from him in the lead up to the Ryder Cup, but a good showing in Paris has revitalised one of golf’s less likeable characters and he appears to be raising his game again toward year end. This course sets up so well for his game, and despite his relative inability to close out tournaments I fancy him to take advantage of his form and contend. Despite missing out on Ryder Cup selection RCB has continued to be the model of consistency. Having recorded a hatful of top 10’s at Sheshan there is absolutely no doubt that at this price he is a great value pick. He’s almost guaranteed a top 10 and with each-way covering the top 6 places then he has to be included. Logic would say that Poulter’s game doesn’t stack up well on this layout, but this isn’t the first time that he’s been a contradiction. Several good finishes at Sheshan and a win in this event, albeit at Mission Hills, indicates his comfort level in this company. There probably won’t be many opportunities to pick Poulter going forward, so this one’s for old times’ sake. It’s been a breakthrough year for him and there is no doubt that he will have a blinder this week on home turf. Remarkably this is Wallace’s debut in WGC events. He’s got all the right assets to thrive on this platform and despite a few loose shots was right in the mix at Walton Heath. I have no doubt that he will feel comfortable alongside the game’s best players. Keep an eye out for the new English star.